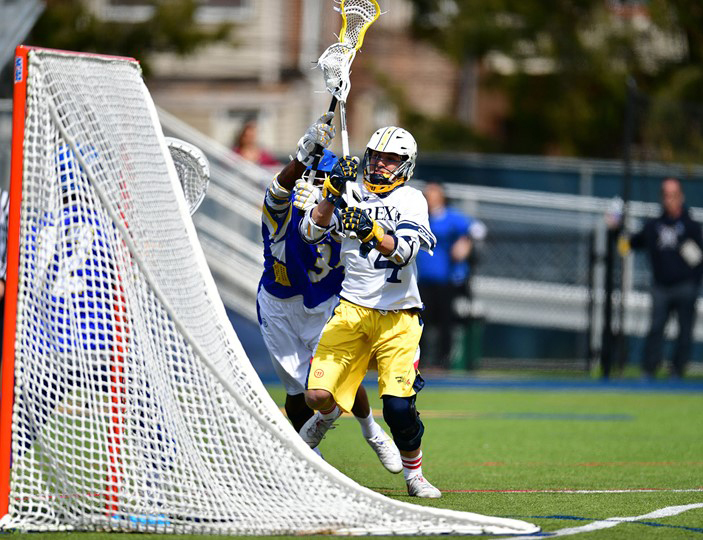 The Drexel University men’s lacrosse team hosted Hofstra University at Vidas Field for Senior Day April 21. Despite the exciting day, it was the last Drexel game ever for seniors Jake O’Donnell, Jude Whalen, Chre Teitelbaum, Will Manganiello, Kyle Strang, Robert Frazee, Michael Meurer and Jake Kiernan. The Dragons unfortunately lost 16-8. Hofstra outplayed Drexel for most of the game, quickly gaining a 7-1 lead heading into halftime. Five of Hofstra’s first seven goals were scored by sophomore Alex Moeser (who had three goals) and senior Dylan Alderman (who had two). Drexel struggled to control the ball all game as they finished with 14 turnovers. Turnovers have been holding back the Dragons all season long and that struggle continued in this game. In the final two periods of the game, the Dragons started to put some of their shots in the net. Junior Matthew Varian scored four out of Drexel’s eight goals in the game, including two back to back unassisted goals in the fourth period. Sophomore Reid Bowering also scored four goals for the Dragons in this one, giving him 28 goals on the season. On the season the Dragons are 5-7 and 1-3 in Colonial Athletic Association conference play and have one more game left in regular season against CAA rival the University of Delaware April 27. In order to qualify for the CAA championships, they will need to defeat Delaware and also have some help from the results of the other games in the conference.